The Giralda is the name of the Moorish style bell tower that stands in the corner of the Seville Cathedral (read more about the Cathedral here). It towers majestically above the city with its 105m height. Indeed, none other building is higher than the Giralda itself. It is one of the most important symbols of Seville. Originally it was built as part of the mosque that stood in place of the Cathedral and functioned as a minaret to call the Muslims to pray. According to the legend it was to be destroyed together with the building however King Ferdinand said that for every brick taken out of it he would chop off a head. Understandably, the demolishing stopped at its walls. It couldn't remain as it was, however, as the Catholic kings wanted to show their power for all to see. Because of this Biblical quotes were painted on its walls around the bells and a statue of the Christian Faith was stuck on top of it. The Giraldillo physically serves as a weather wane (apparently not very well due to its size) and symbolically serves to represent the power of Christianity over the Muslim religion. The tower is an exact copy of the Koutoubai Mosque in Marrakech, apart from the Christian additions, of course. It’s famous for having ramps in it instead of stairs, so that the Muzzein could go to the top on a horse. Because of this the tower boasts of being ‘wheelchair accessible’. Well, technically it is. You have to walk up 35 flights to get to the top. Take a look out of the windows to see a different view of the surrounding streets. You get out on the level of the bells. Each side offers a stunning view of Seville. The mechanics of the bells are quite interesting. 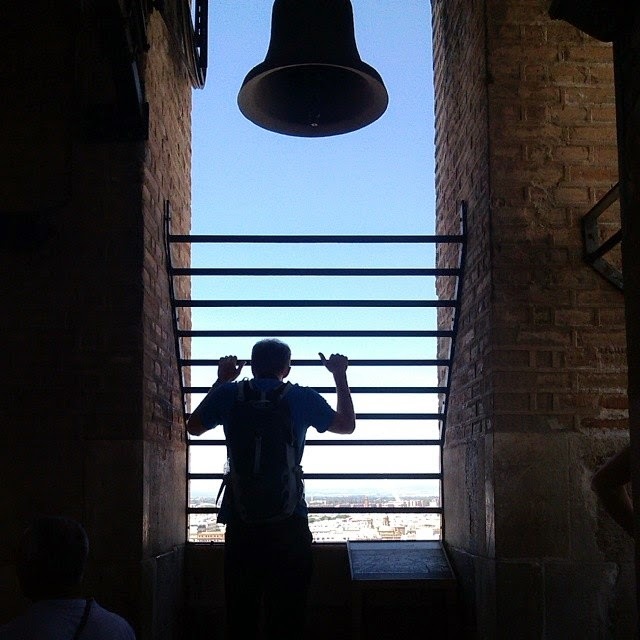 Try to make sure that you are not up there when the bells hit the hour as it can be quite deafening. 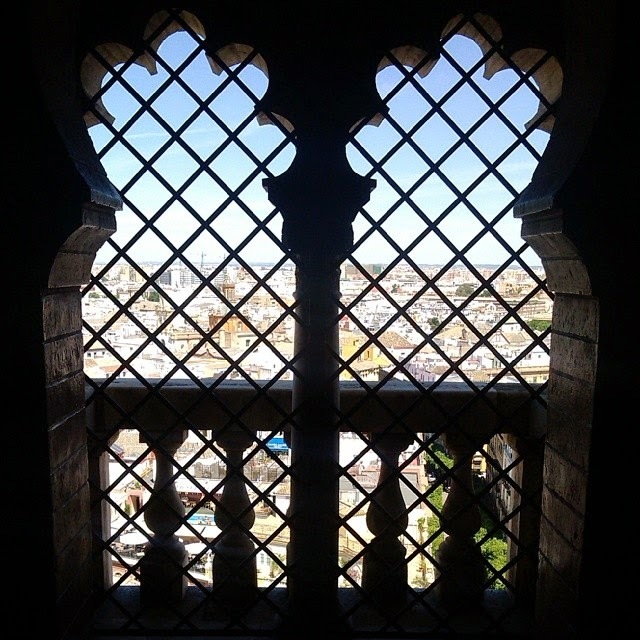 You can visit the Giralda as part of your Cathedral tour, its price is included in the ticket.